Looking up Lake Wakatipu to Glenorchy and the Greenstone, Rees and Dart Rivers. Pig and Pigeon Islands. 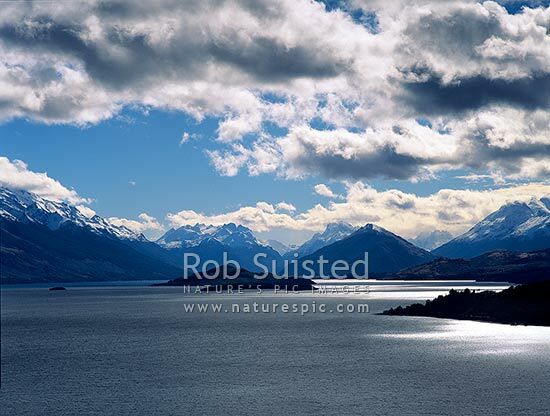 Moody clouds forming, Queenstown, Queenstown Lakes District, Otago Region, New Zealand (NZ), stock photo.